This is where I will be listing all the books I will read for the reading challenges I’m joining in 2012: the Back to the Classics Reading Challenge, the Graphic Novels Challenge, and the Chunkster Reading Challenge. 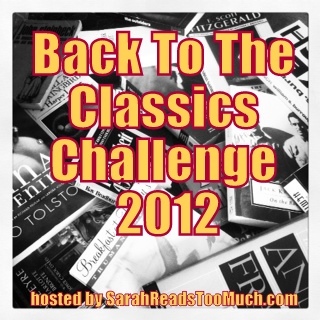 These new categories are for the Back to the Classics Reading Challenge 2012 from Sarah Reads too Much. The Challenge will be from January, 2012 to December 31, 2012. 7. Read a Classic that has been translated from its original language to your language. 9. Read a Classic set in a Country that you will not visit during your lifetime. Goal: To read 12 Graphic Novels from January 1, 2012 to December 31, 2012. 2. Kamisama Hajimemashita (2008, Hana to Yume) – Julietta Suzuki. Ongoing, 14 Volumes. 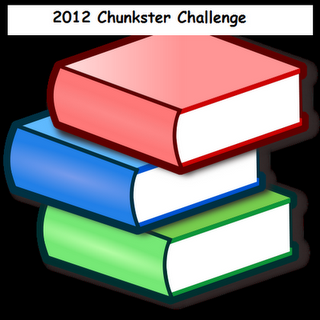 The Chunkster Reading Challenge – COMPLETED! For the Plump Primer category: Read 6 adult novels that are over 450 pages long, between January 1, 2012 to December 31, 2012. 1. 2666 – Roberto Bolano (Picador, 898 pages). Read from Jan. 3-19, 2012. 2. A Dance with Dragons – George R.R. Martin (Harper Voyager, 1,015 pages). Read from January 24-February 12, 2012. 3. The Master and Margarita – Mikhail Bulgakov (Penguin, 564 pages). Read from March 2-12, 2012. 4. Wolf Hall – Hilary Mantel (Picador, 532 pages). Read from April 5 to May 5, 2012). 5. The Name of the Wind – Patrick Rothfuss (Daw, 662 pages). Read from June 25 to July 17, 2012. 6. Cloud Atlas – David Mitchell (509 pages). Read from August to September 7, 2012). I’m totally up for the challenge!! Hmm I think the rules said one book per category….though I’m not 100% sure of that. But I know what you mean, a lot of books can be used for both categories, but maybe that defeats the purpose of getting us to read a variety of books 😛 I’m still working my way through A Storm of Swords and I’m not even a quarter into the book lol.